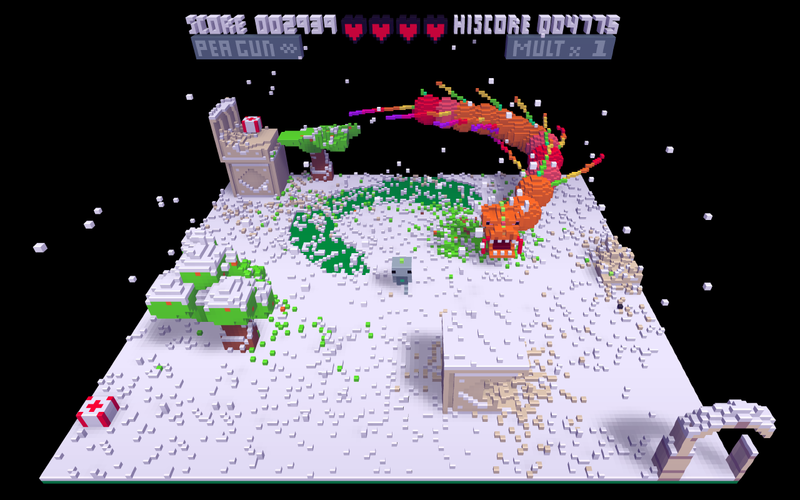 Voxatron is a fantasy console and collection of games made entirely out of voxels (little colourful cubes, kind of). 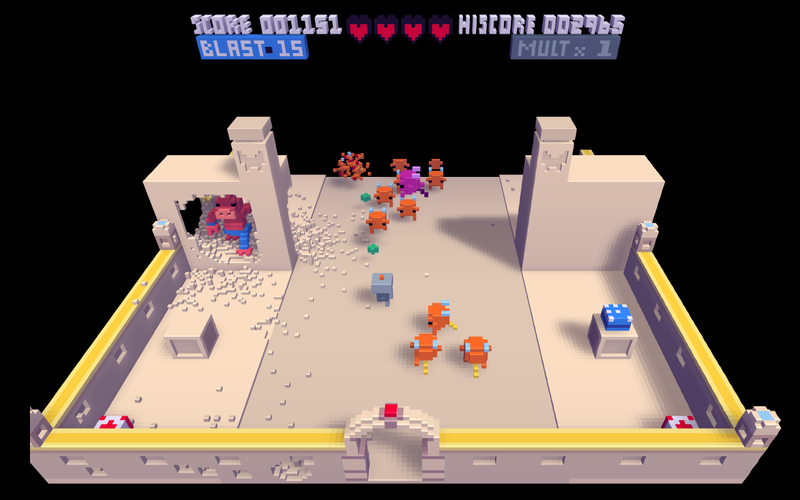 The Alpha version comes with an arena shooter and action-adventure cartridges as well as powerful design tools to make your own voxelly games. Make your own carts or remix other carts with the included set of design tools.  Create your own animations, characters, pickups, music and build worlds out of them! 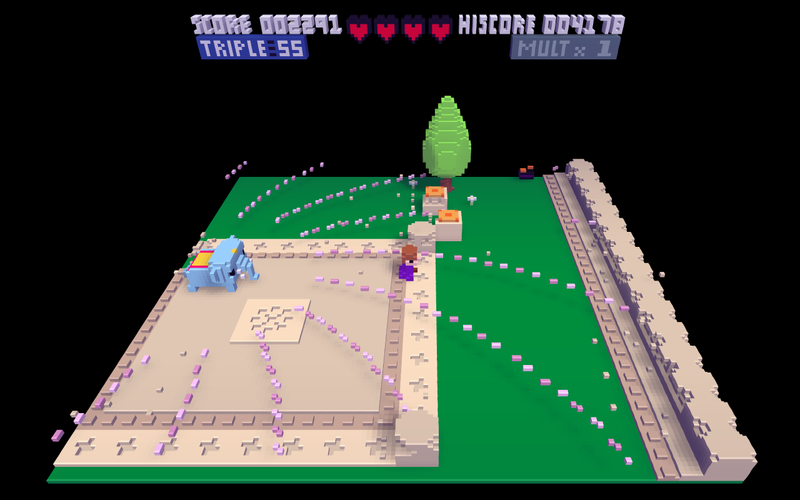 Become a registered user of Voxatron and receive free updates forever as well as two special cartridges when v1.0 is released: Voxatron Arena and Voxatron Story -- a meta-adventure that explains the origin of the console itself. Until the end of Voxatron alpha, all users also receive a copy (and all future updates) of PICO-8, Voxatron's little 2D cousin! To grab your copy of PICO-8, check the updates page while logged in, or activate your account. 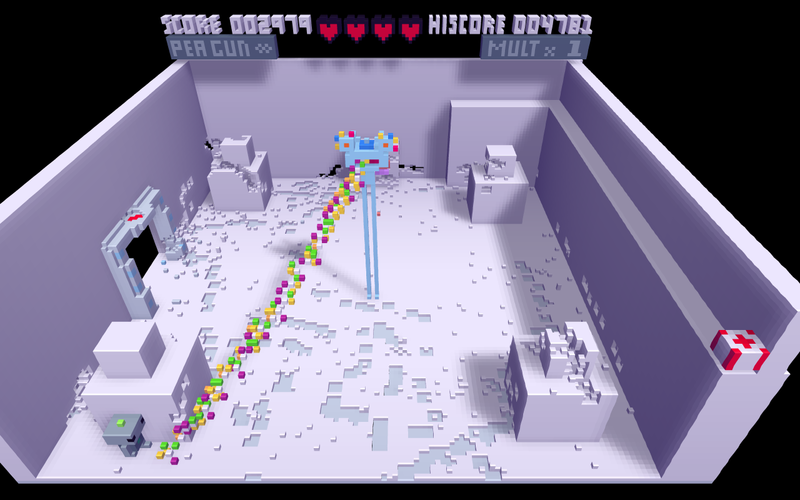 To play Voxatron, you'll need Windows, Linux or a Mac with a 800MHz cpu and any video card.